It took me some time to make my way to the wide world of podcasts but now that I’m here, I absolutely love it! Considering that I spend close to two hours in the car every day and the majority of my workday sitting at my microscope, I have a lot of time available for listening. I love podcasts and audiobooks to help me learn new things, keep me informed, and of course, keep me entertained. I’ve had some reader requests recently to share my favorite podcasts and I decided to make this a recurring feature because this world of excellent audio production is only growing. Without further ado, here’s what I’ve been loving lately in the podcasts and audiobooks. As an aside, Season 1 is also very good and worth checking out. As a kid growing up, I had little interest in history because it was, well, history. Most of it didn’t seem especially relevant to my life in the present. Maybe it’s maturity, maybe it’s the times we are living it, or maybe it’s both, but now I continue to find myself more and more interested in historical events and how they shine a light on current events. That old adage “history repeats itself” has never seemed more true. 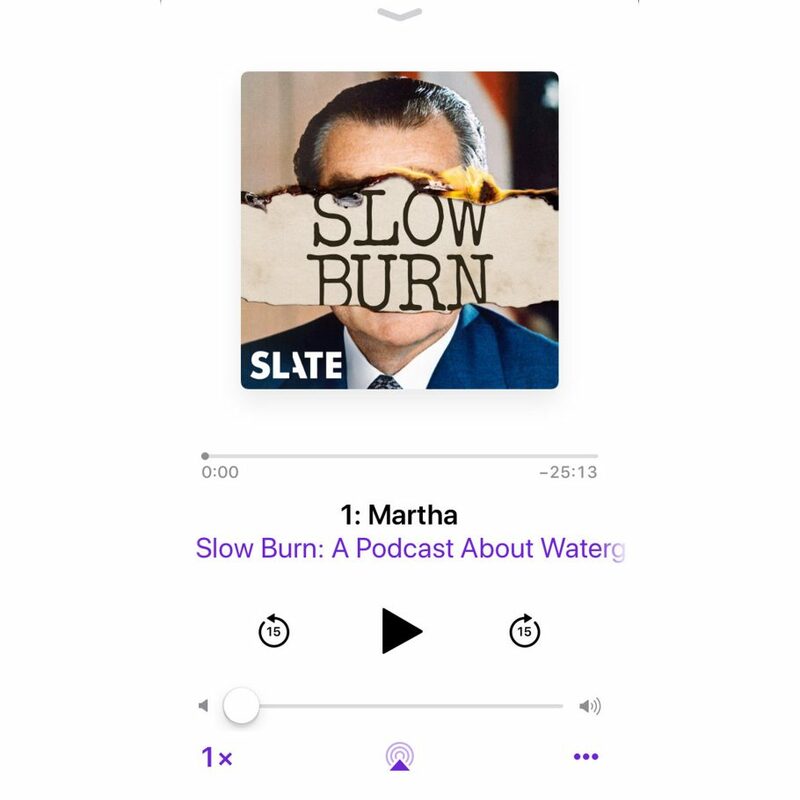 When my friend Josie recommended I listen to Slow Burn, a podcast about Nixon and the Watergate scandal I thought, “What? 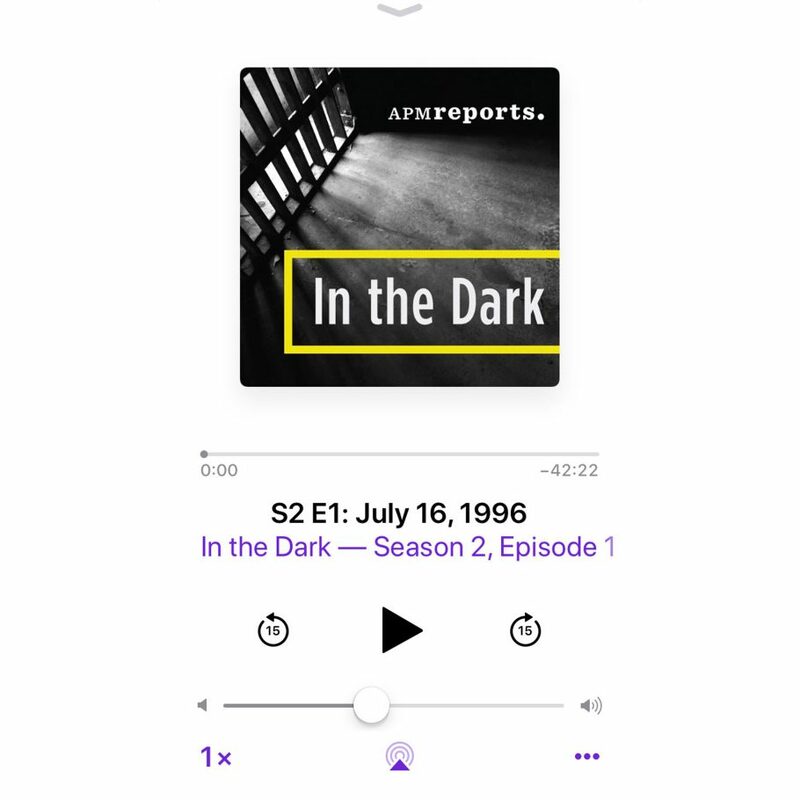 Why?” Now having listened, I can say this series is extremely well done with spectacular storytelling that helps understand the events leading up to Nixon’s resignation and why they are so painfully relevant right now. You’re sure to learn something new from this podcast. It was a complete binge listen for me! 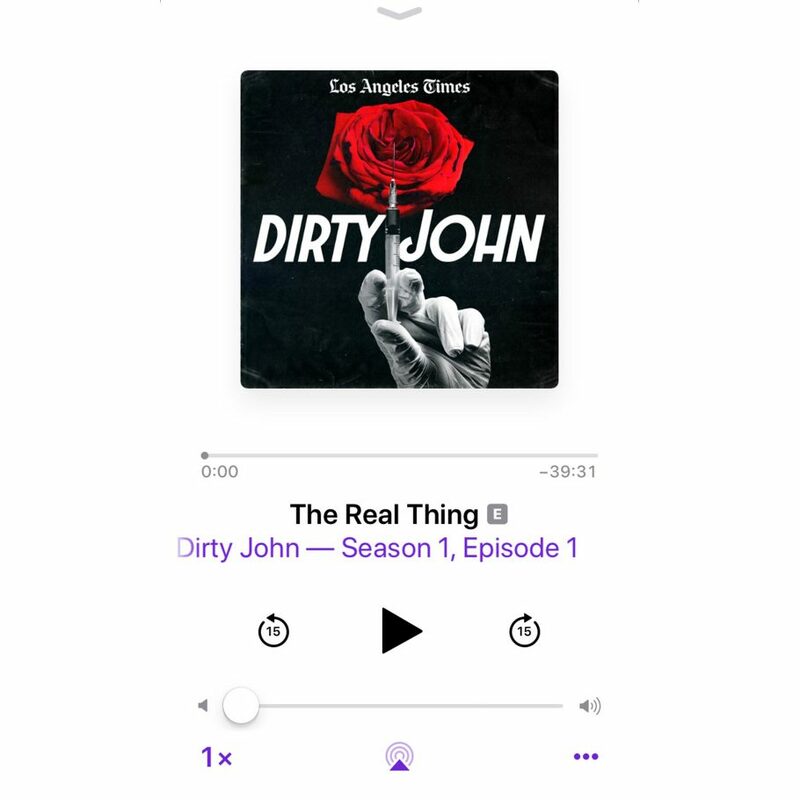 Another shining example of toxic masculinity combined with all of the creepy vibes, Dirty John recounts the true story of a love connection gone horribly wrong. This story is so nuts that it seems straight out of a made-for-TV movie…but it’s real life. I don’t want to say too much to avoid any spoilers but this whole thing is just bananas. 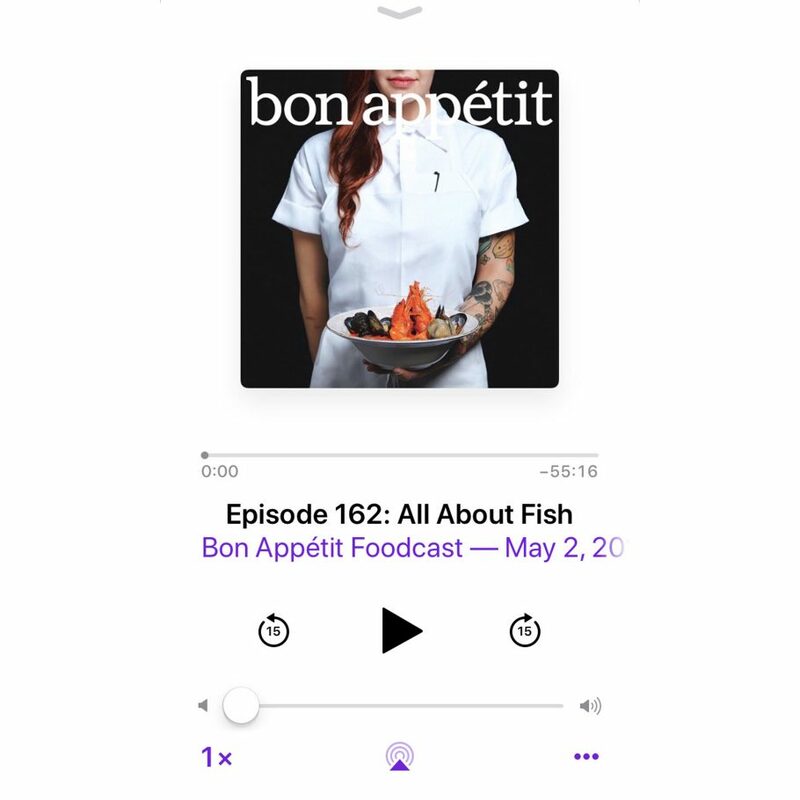 The Bon Appétit foodcast has long been a favorite of mine. I can listen to it anytime and it instantly gives me all the good warm fuzzy feelings. I save up the episodes for days when I am feeling sad or down and need a pick me up – it works every time! I love hearing the staff talk about how they come up with recipes for the magazine issues, I love their interviews with chefs, cookbook authors, and entrepreneurs, and I learn so much from the various topics that they choose to dive into on a deeper educational level. They break things down, drop knowledge, and my own kitchen skills have definitely benefitted as a result. The whole thing is great but two episodes I have recently loved that I specifically wanted to recommend are On Salt and All About Fish. Do you listen to the BA Foodcast? Do you also like to dream about working in their test kitchen? Just me? By one of the co-founders of Black Lives Matter, this book should be required listening for ALL of humanity, particularly for the “all lives matter” folks but really for anyone and everyone who believes in the notion of a world with true equality and equal justice for all. This memoir is deeply personal and absolutely essential to the understanding needed when judging the movement of Black Lives Matter. 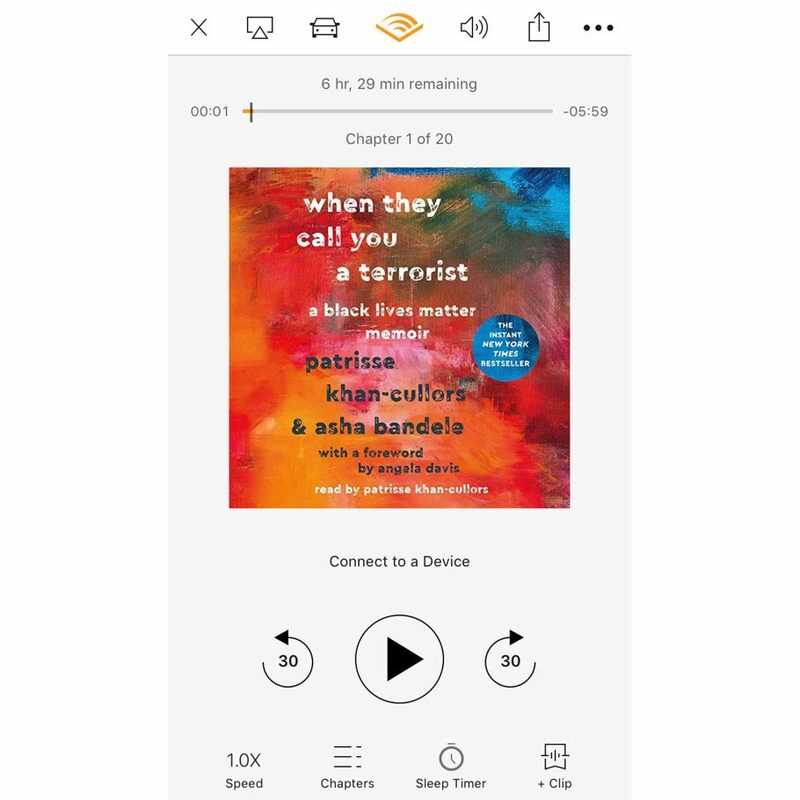 While I normally prefer physical books, listening to this in audio format is a necessity so you can hear the voice and the heart of this brave, loving, brilliant woman who helped spark a movement. 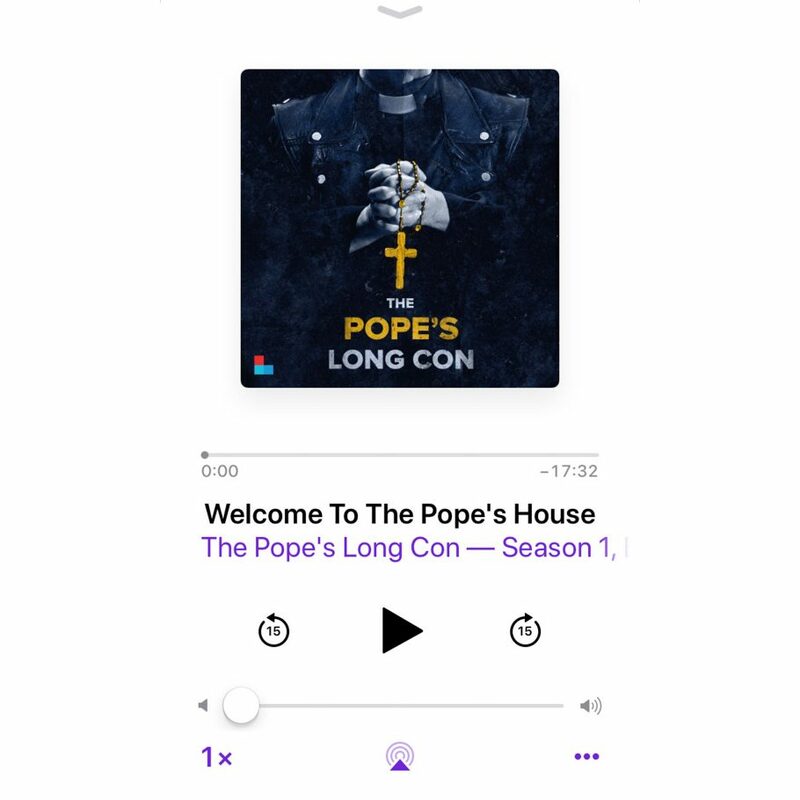 If you can get through The Pope’s Long Con without it turning your stomach several times an episode, I’m impressed (and maybe a bit concerned.) If you’re unfamiliar with the story of the former Kentucky state representative and charlatan who called himself The Pope, get ready for a wild ride. This guy is Fox News and evangelical lunacy combined and personified, with more than a touch of Trump mixed in. This is somehow shocking and also not at all shocking, and that might be the saddest part of this whole nutty story.